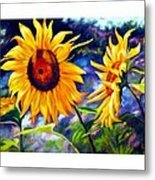 Queen duvet cover (88" x 88") featuring the image "Sunflower" by Gustavo Oliveira. Our soft microfiber duvet covers are hand sewn and include a hidden zipper for easy washing and assembly. Your selected image is printed on the top surface with a soft white surface underneath. All duvet covers are machine washable with cold water and a mild detergent. I love the expression of the flowers -- they seem to be sentient, sensitive beings. I love the colors and dynamic movement. Vivid and outstanding! Gustavo~I love this painting for its colors and sense of wind and movement. 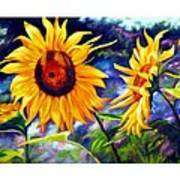 Van Gogh influence?~ well done!~ Vote & fave. Thanks Gustavo for the comments on my work. This piece is absolutely beautiful! I like the softness of the background, your use of colors, your handling, and the expression of both Sunflowers. 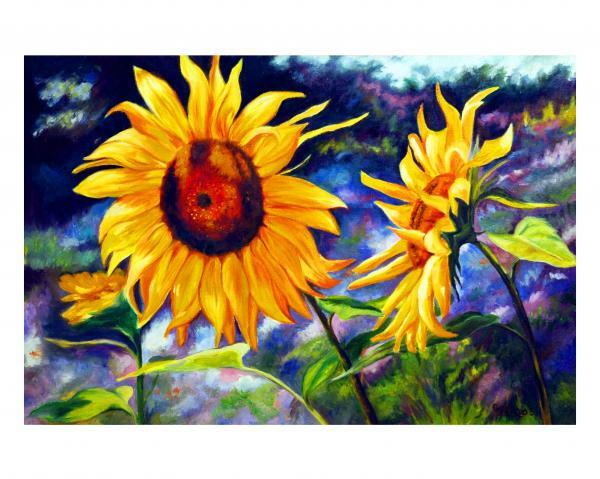 Beautiful Sunflower painting, Gustavo! I love it! Paint contrived in the year 2001. Dedicate to Vincent van Gogh - one of the greatest influences on my work.